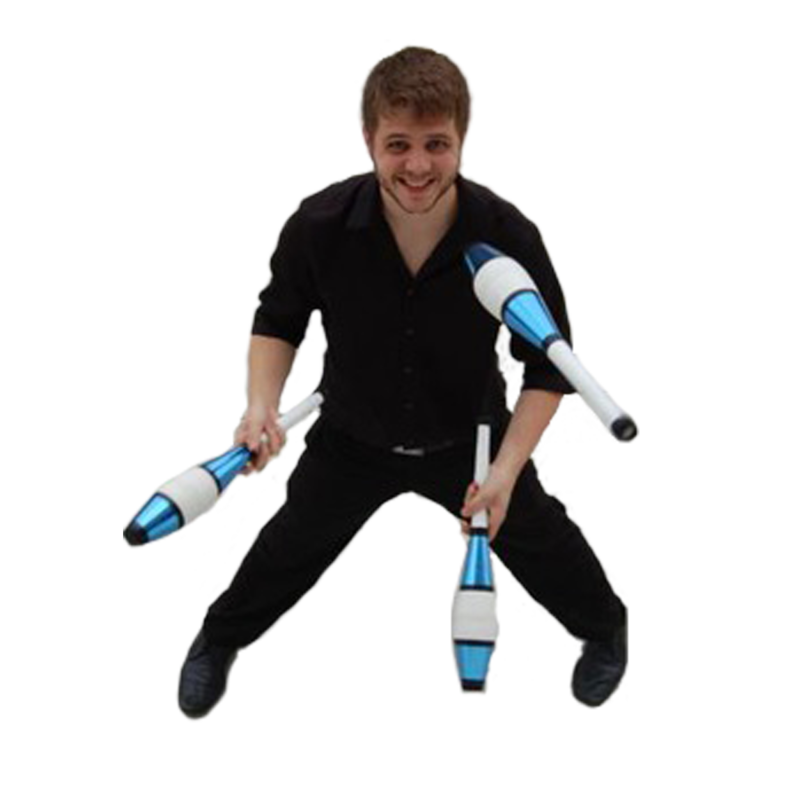 Featuring a vast range of amazing tricks, stunts and feats, Tony Steinbach's act is guaranteed to keep any audience riveted. A solid six years as a juggler, six years in the theater and four years in comedy writing comes together to create an act filled with technique-driven tricks as well as hilarious commentary. With balls, clubs, fire, knives, cigar boxes, golfball retrievers, plates, cups, a wooden spoon, battle axes, a rola bola and a rubber duck Tony's act is jam packed with enough trickery that no one has the chance to get bored. Time, setting, event type are no problem. Tony's act is flexible enough that he can work with you to fit your needs!